I am so loving doing layouts now. 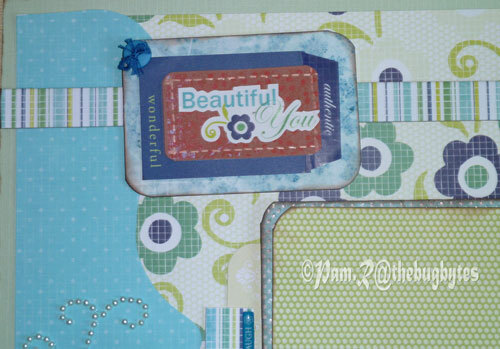 This weekends circle challenge by AllisonF was using a kit you have. Lol no problem using a kit as everything is arranged but the biggest problem was cutiing something with cricut as almost everything was already there in the kit I had. So I just used Gypsy wanderings to choose a square solid frame. But had a tough time moving the image off the mat as you know when the image hangs out on two sides out of the mat it sort of hits the barrier and refuses to move and behaves wacky. Starnger since the last update one left to right can be nudged a little by arrows. I had to juggle between using the 12 x 24 mat place and adjust as then only one side will go off the mat and then 12 x 12. I finally cut the blue paper that way . Then the brown paper for the title and the notes was cut with Imagine more. I had to do some inventive adjusting in the title as wonderful was one element, beautiful one element and authentic another in that kit. 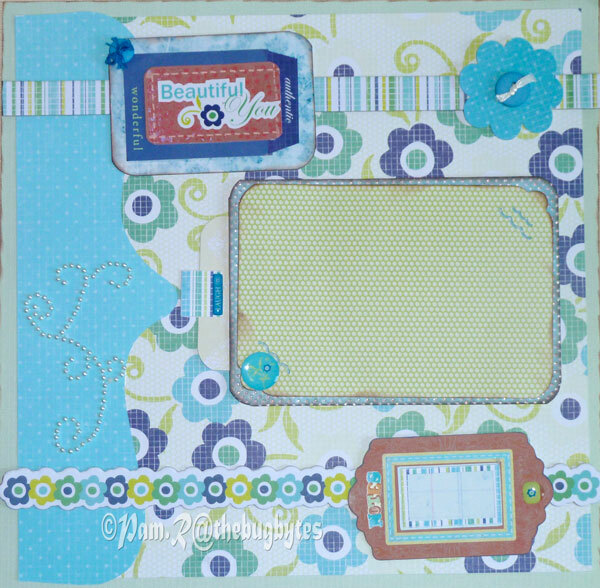 The borders both of them were chipboard borders in the kit. 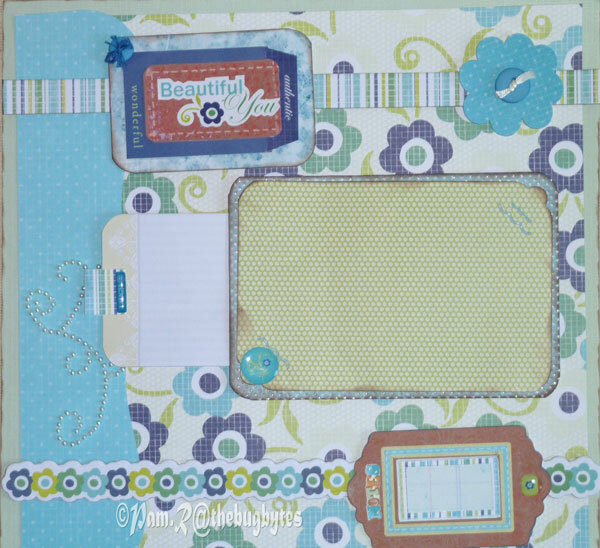 Since I felt there was not enough journaling spots I added the photomat onto the layout with pop darts so that I could slip a journaling note under it. Paper used for the note was left over from the you're my sunshine layout. such a beautiful layout I love that you are doing more and more of them . thanks for sharing your talent with us .